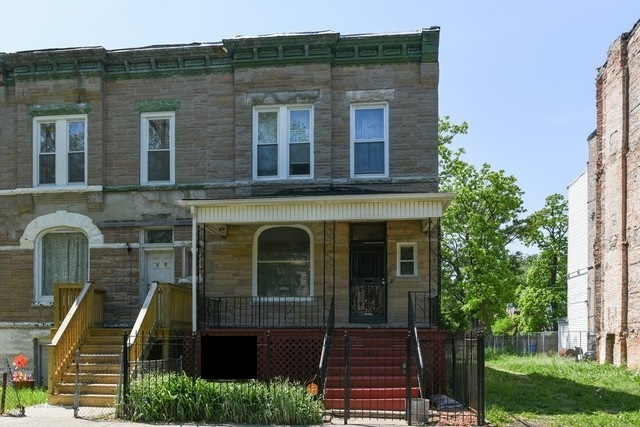 Come See This Beautiful 2-Story East Garfield Park Row House!!! Bright & Sunny foyer, which leads to the Living Room that opens up to both Formal Dining room and Eating Area. Gorgeous Hardwood Floors through out the 1st floor with Tall Ceilings on All Levels! Updated Kitchen! Nice Size Bedrooms with Lots of Closet Space! Two Full Size Updated Bathrooms! Full Basement! A Must See!!! DON'T MISS OUT!! !